New Relic is a software analytics company that makes sense of billions of metrics across millions of apps. They deliver real-time insights to more than 500,000 users and 12,000 paid business accounts. 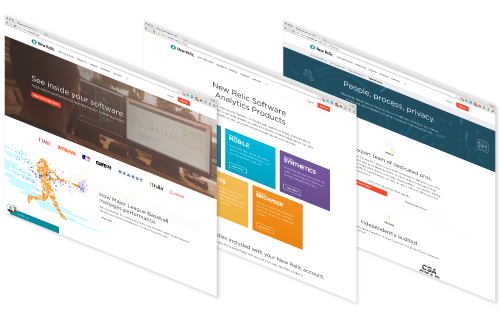 As a multi-tenant SaaS platform, the New Relic Software Analytics Cloud helps companies securely monitor their production software in virtually any environment, without having to build or maintain dedicated infrastructure. 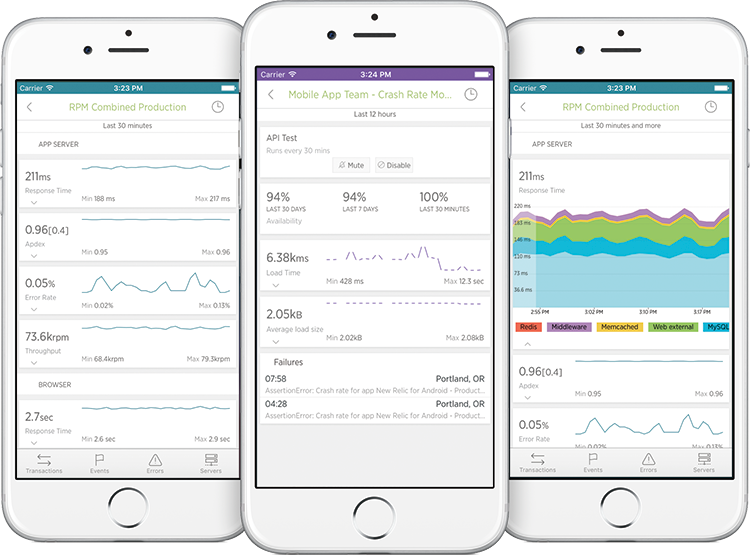 New Relic helps companies improve application performance, create delightful customer experiences, and realize business success. New Relic offers businesses real-time visibility into their applications, giving them the insight they need to make live changes as necessary. Their goal is to offer users an in-depth view into their apps with an easy-to-install, out-of-the-box solution, and they seek the same qualities in the tools they use: tools that offer simple solutions to their biggest, most complicated problems, including maintaining a secure end-user experience without impacting performance. Thousands of businesses rely on New Relic’s analytics software, so they need to make the latest updates available instantly. They turned to Fastly for improved performance, the ability to deploy CDN configuration changes in real time, and a powerful set of tools that matches their workflow and values. New Relic was initially drawn to Fastly because of its developer-centric roots. After meeting CEO Artur Bergman, they decided Fastly was a great fit for them both in terms of culture and technical needs. As an engineering team, they appreciated Fastly’s intuitive API and agile engineering process. Three years later, Fastly continues to match New Relic’s workflow and values. Companies around the world rely on New Relic’s cloud-based software analytics; to deliver the best experience, New Relic needs to deploy frequently and maintain total control over how and when new versions of their software are released. Fastly gives them the ability to make real-time changes, as well as the power to revert changes as necessary. With a legacy CDN, it wasn’t possible to make those versions available instantly; Fastly lets them deploy updated software in real time.